Highly resilient material allows new multi-thickness face for astonishing ball speed and feel. A one piece cupped geometry produces a surprising level of feedback at high ball speeds. Developed to hit specific vibration patterns identified as delivering a satisfying sensation through impact. Set matching wedges use a softer material with tour precision milled grooves and face for improved spin and control around the greens. 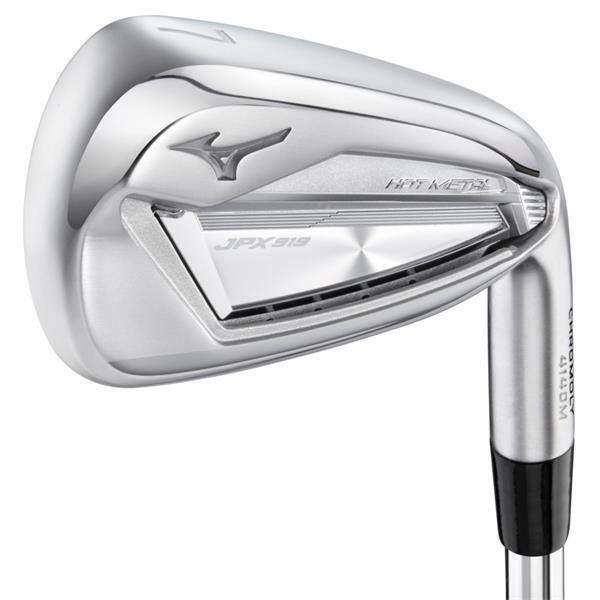 A steeper transition into more compact scoring irons and wedges. Chrome plating with a new more durable pearl finish to soften the 919s precise lines in high sunlight.